Oh the Irish in me ! 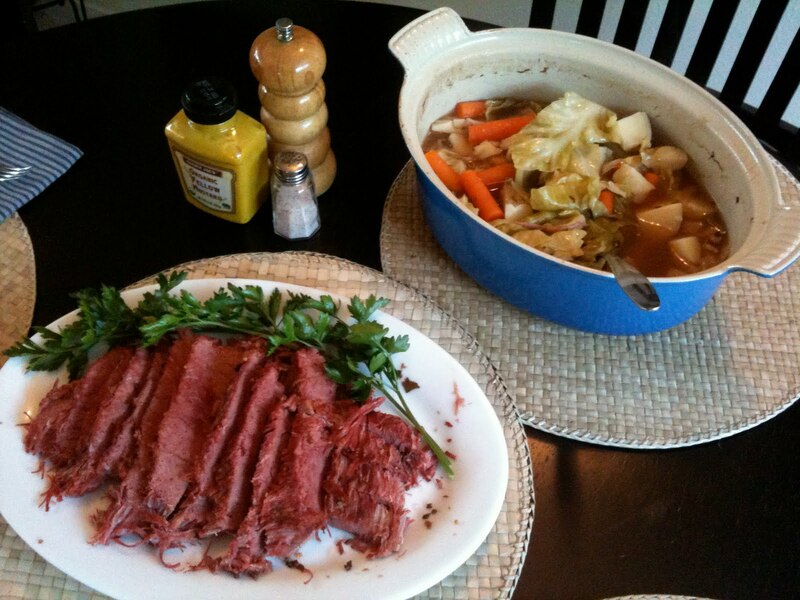 St. Patrick’s Day is tomorrow, so I whipped up some Irish grub to celebrate the day of green, or the day of drinking or the day to cook Corned Beef & Cabbage !! 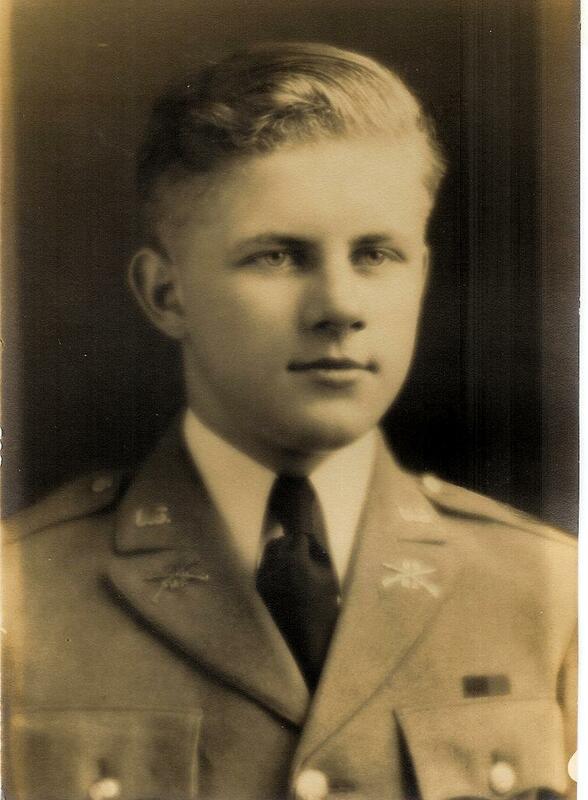 I come by my Irish blood honestly, meet my Grandpa Jim May, he’s not with us anymore but he will always be in our hearts. Corned Beef w/ Cabbage, Potatoes & Carrots. Put the beef and the spices from the bag in a dutch oven, add 1 beer – your favorite flavor, I used a Fat Tire, from Colorado, not Irish but very tasty. Besides I needed to save all the Irish beer for Black and Tans. Add water until the beef is covered. Cook at 325 for at least 3 hours. Check the beef for the fall apart factor, the meat should be extremely tender and cut easily with a fork. Remove the meat from the pot and let rest on a plate for carving. Add the veggies to the pot and return to the oven for 20 minutes or until veggies are cooked but still slightly firm. Slice up the meat and serve the veggies on the side with some good stone ground mustard. 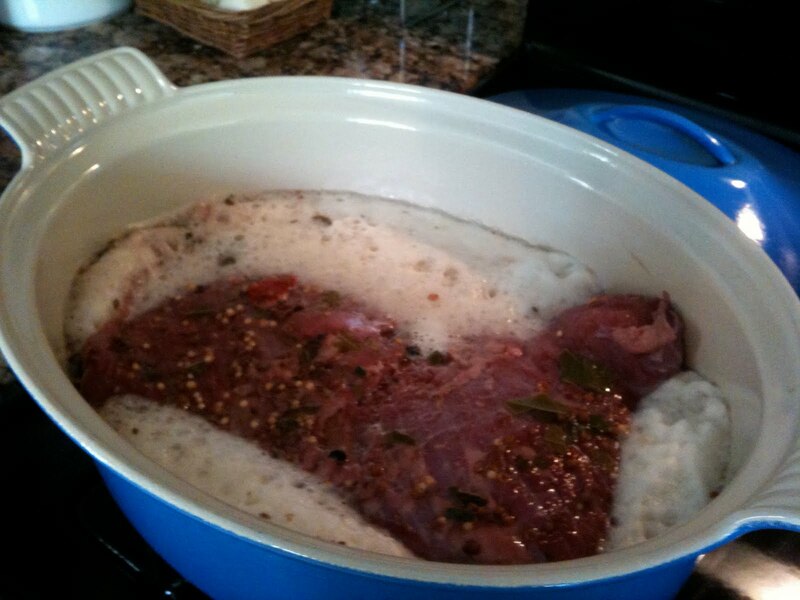 This entry was posted in Braising, Comfort Food, Gluten Free, Holiday by Sarah. Bookmark the permalink. >Very nice tribute to your Grampa May. Fun story too. He looks so much like Ben. >Ben does look like him !! Thanks for love Dori !! >Props to the Colorado brew! Wish I could eat that right now all gone. >This is so sweet, I almost cried. I miss me 'far' so much. He'd be cracking jokes the whole time. 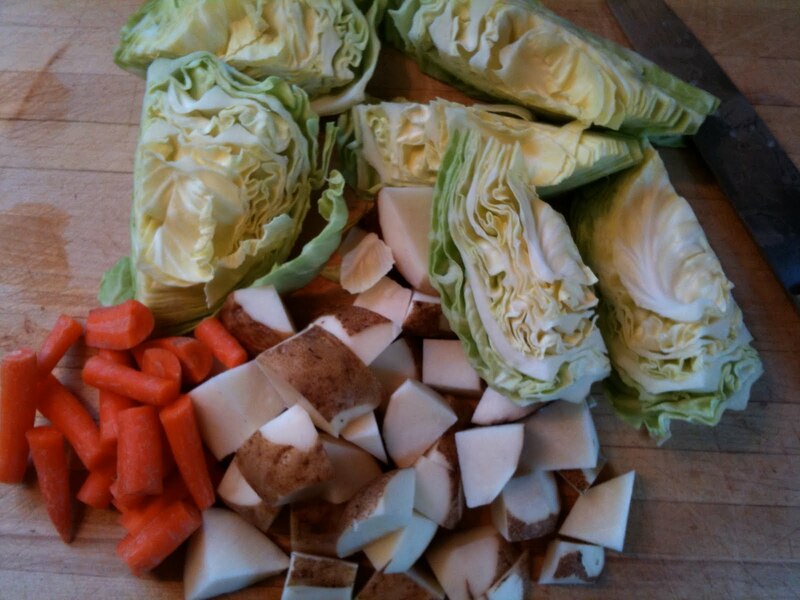 As a kid i wasn't too keen on sauerkraut but he made the most amazing Irish Stews….ever. You have cookin' in your blood Sarah. >Wow! Is it really that easy? Looks delicious! We will give it a try. Cooking up the recipe today, thank you Sarah!